Large energy consumption caused by the pump unloading, as well as the low energy efficiency of the motor, is a serious problem for hydraulic presses especially for the press with multi motor-pumps. By analyzing the energy dissipation characteristic of hydraulic press drive system which is composed of several motor-pumps used to provide energy, an energy-saving design method is developed to reduce the energy loss of the drive system. In this method, pumps are selected from the pump set by minimizing the proposed idling index to reduce the energy loss of motor-pumps in the unloading state. The index is defined as the sum of the product of the unloaded flow and the unloaded time for each stage in a working cycle of the hydraulic press. Then, the motors are selected from the motor set to drive the selected pumps correspondingly by ensuring that the load rate of all the motors is within a setting range for high energy efficiency in as many stages as possible. 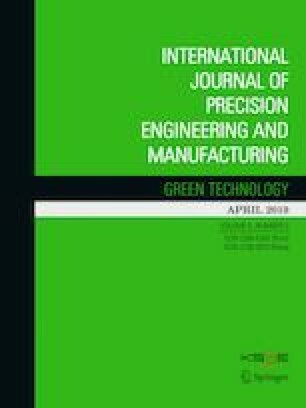 The method was applied to a 2000-ton rapid sheet tension hydraulic press, and results indicate that 26.97% of energy can be saved in a working cycle. The work is financially supported by the National Natural Science Foundation of China under Grant nos. 51722502 and 51635010, the International Cooperation and Exchange of the National Science Foundation of China Grant no. 51561125002. Monn, J.A., Raffio, T.S., Kissock, K. (2012). Energy Efficient Mechanical Press and Hydraulic System Operation. In: SAE Technical Paper, 2012-01-0326. https://doi.org/10.4271/2012-01-0326.